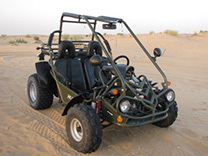 If the dune buggy safaris in Dubai are for adventure lovers then quad bikes aren't far behind in the list of must do activities in Dubai deserts. Quad Bike Safaris in Dubai are a new version of off-road exploration. 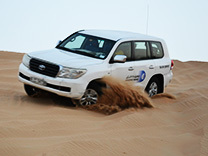 Feel the adrenaline rush as the guide leads you through the challenging sand dunes during this desert safari in Dubai. Camels are supposed to be old Rolls Royce of the desert. People in the early days used the camels either for trading or for transporting goods from one place to another. Camel safaris are always done in groups, otherwise known as caravans. Camels endure the strong winds in the desert thus referred to as the 'ship of the desert.' Their ability and strength to go in far distances for a long time without food and water made these wonderful creatures so vulnerable and a part of the Arabic tradition. Experience how people in the early days cross each emirate to find a new place for dwelling and for trading.